Not enough Volvo 240s on DT. Never enough. 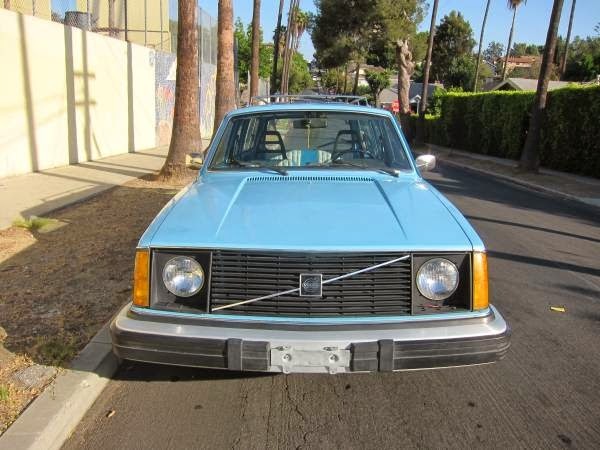 Needz moar Volvos. As a DT editor - but also a DT reader - I'm always thinking these thoughts in my deranged head as I hug myself and slowly rock back and forth in the corner of the DT offices. Some people just don't get the appeal of the classic 240 bricks, but those people are daft. Allow me to explain: these have the character of a '60s car but the more modern feel of an '80s import, a stiff, safe unit body, rack & pinion steering, simple McPherson strut and 4-link rear suspension, rear wheel drive, solid iron block powerplants...they are cheap (for now), and can be built into anything the owner desires. 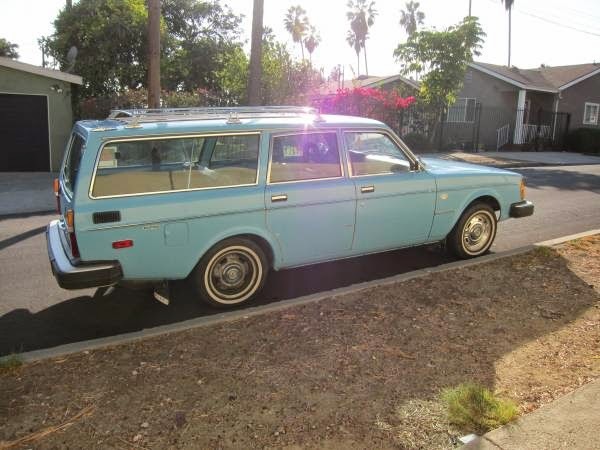 Especially when they are exempt from emissions inspection, like this 1975 Volvo 245 DL for sale in Echo Park, CA for $3200 OBO, languishing on craigslist. Original tip from Adam at fastinfastout.com. 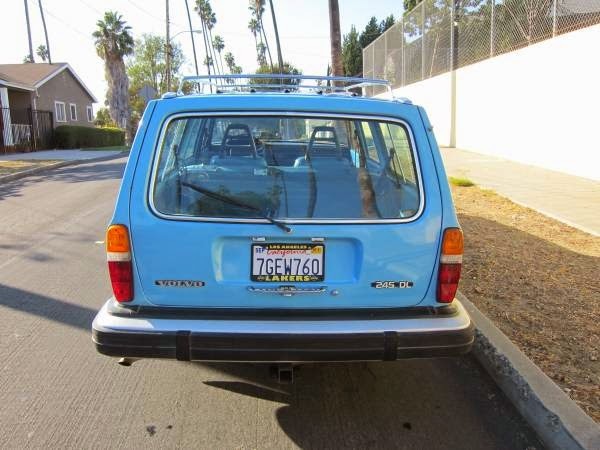 This 245 (that's a 200 series, 4-cyl, 5-door (wagon)) has been on LA's craigslist for at least a month now. The original asking price was up near $4500 a few weeks ago when we were tipped, but last week the seller posted a new ad with a much more reasonable asking price of $3200 obo. 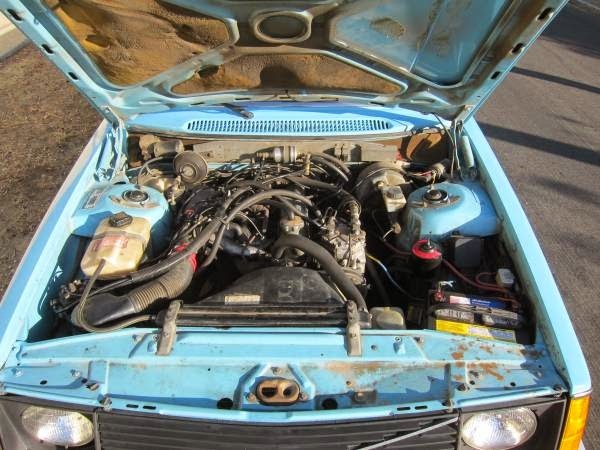 If you are one of the gazillion people who live in CA and want a classic quirky project car in which to stuff whatever V8 or screaming twin cam turbo 4-cylinder powerplant, here's your car. Being a '75 means it's the only year of 240 that is smog exempt here, apart from the rare Diesel models (of which this editor recently imported one from Washington state...mwa ha ha!). Being a wagon means it's awesomely practical in ways that 2-door and 4-door sedans can only fantasize about. I know from personal experience that the entire interior from another 245 will fit inside one of these wagons, with room to spare for two people and luggage for a road trip. Try that in your Miata. The '75 model year does have its quirks and idiosyncrasies as do most 1st-year versions of long running platforms. The engine is a carryover K-Jetronic fed pushrod B20; the more modern OHC B21 redblock 4-cyl debuted in the 1976 cars. The brakes are small and unvented discs, steering rack is skinny, the steel is ungalvanized (not a problem in So-Cal), and just look at that mess of a '70s floral psychotropic interior. 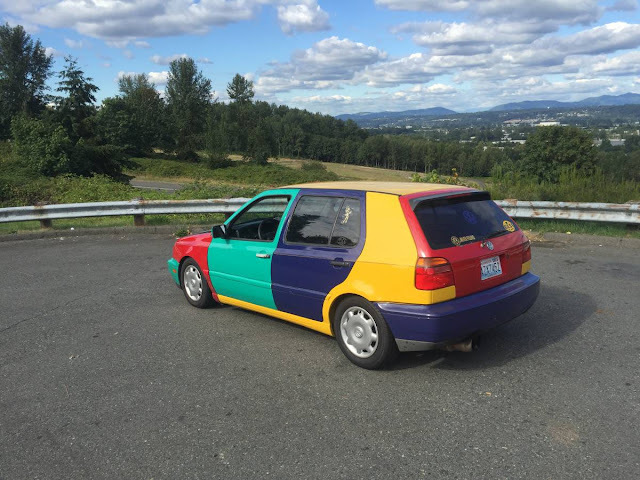 And oh yeah, it has, like, a 3-speed slushbox auto trans. But none of that matters if you are going to replace the running gear with late-model 240 stuff, which you should, because it bolts right on. And oh yeah, LS-series V8s (aka Gen III and IV GM small blocks) fit easily in this engine bay with room to spare. Later turbo redblocks like the B230FT are common and durable bolt-ins, and pretty potent with a 16-valve / twin-cam head conversion - 500hp is not much of a problem. The newer aluminum 5-cylinder Volvo whiteblock engines will fit with room to spare (from a V70, S60R, etc) and the turbo inline 6-cyl does too. There's even a guy in Iceland who shoved a 4-valve 4.6L Ford V8 into a 240...and those suckers are wiiiiiide. Wish I had the time to build my own Chevolvo. Crate motor and a 5, no 6 speed! Gas mileage, torque, roomy (boxy), sliding under the radar of The Man. Airbags? Nah, just hose me off the dashboard and sell it to the next guy. Ok, spill it, you bought a Diesel 245 from WA state and haven't posted anything on the site about it yet? Also with this one - right across the street from where I used to live (Elsinore & Alvarado). If anyone goes and gets it, visit the Burrito King on Sunset and Alvarado, you will not be disappointed. Just teasers for now. The mythical 245 Diesel, with M46 manual trans, running condition. Drove it down from the Seattle area to LA. It'll become a full blown Project Car, no doubt. I've had the drivetrain I'm going to use for years and now finally have a home for it! Isn't that an Audi diesel? Wouldn't it be a 265 then? Is the M46 original? My knowledge of the 200 series diesels is nil. Good find, and look very much forward to seeing the updates! Just register it in CA first before dropping that LS7 in there. Vehicle verification lane at the DMV might not know what to do with it. WA plates are off, CA plates are on. CA title with a big "D" on it is in hand. Fear not! Strangely enough Volvo offered 245 and 265 Diesels with the same engine. In this case the 6 in the middle designated a higher trim level, like the "GL" trim on 4-cyl cars. Mine is a low-spec car, vinyl seats, manual windows, M46, no AC, etc...so it's a 245 Diesel. Even though it's an inline 6 engine. 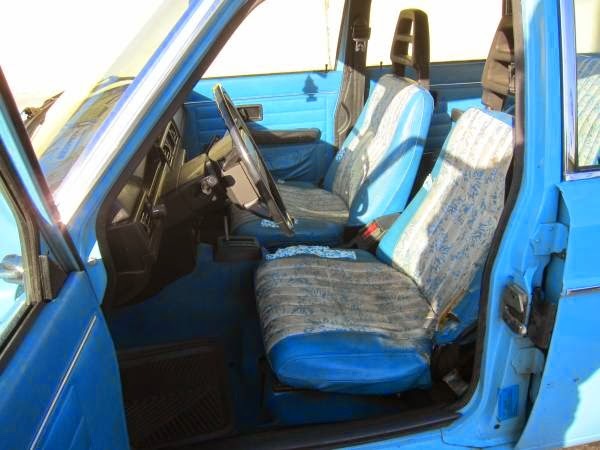 And yes, it's a VW/Audi D24. 85hp of naturally aspirated fury. It's getting something far less common than an LS7, but no less awesome.